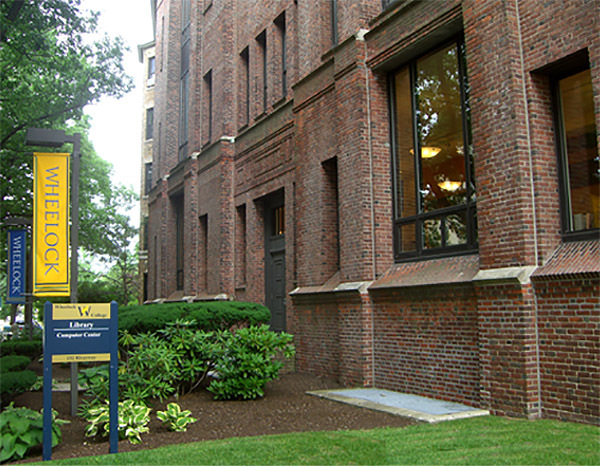 Blackstone Block Architects redesigned the Wheelock Library to satisfy the programmatic changes of the main circulation and reference desks, offices, group study rooms, and main entry security of the library building at Wheelock College. 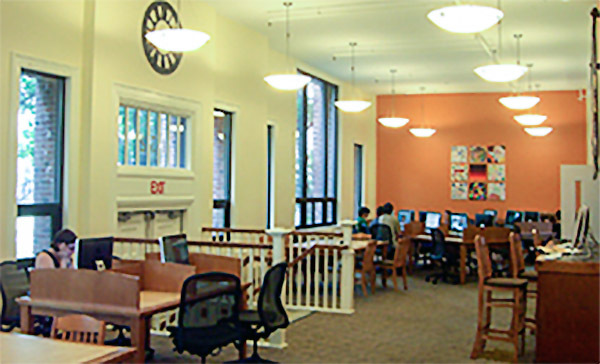 The focus was to create an engaging information central-desk area, accommodate for more ample computer / technological sections, and provide new enclosed study group spaces and a new computer lab. Photographer: Blackstone Block Architects, Inc.